Weights found in excavating the settlement at Allahdino. © J. M. Kenoyer. Courtesy Dept. of Archaeology and Museums, Gov't of Pakistan. The Indus Valley, 2012. It was wetter in 2200 bce. From eosnap, courtesy Chelys srl. The Harappan culture flourished in the Indus valley between 2600 and 1900 bce. 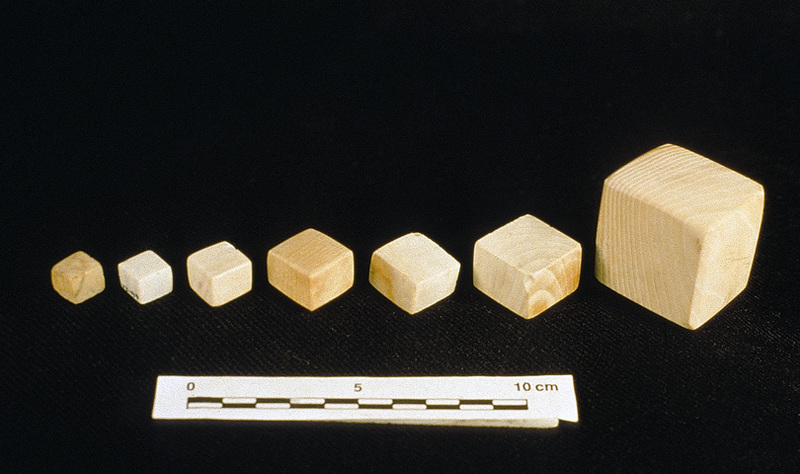 Excavations have recovered a number of balance weights in the shape of cubes, often of chert, some from sites as early as 2800-2600 bce. Around 2200 bce, weights also began to be made in the form of spheres with two flat spots on opposite sides, but the cubic weights continued to be produced until about 1900 bce. The discovery of impressive cities from a previously unknown ancient culture electrified archeologists in the 1920's. In analyzing weights recovered in the first excavations at Mohenojo-daro, A. S. Hemmy discovered a regular pattern¹: the smaller weights increased by a factor of two, and the larger were a decimal multiplier times one of the seven smaller weights. Hemmy described the system in terms of multiples of the smallest weight, around 0.87 gram. Later researchers² took as the basic unit the weight of about 13.65 grams, because it is the one most commonly found, because the 13.65 g unit has a decimal relationship to the first “heavy”unit, and because units of about this size were later the basic units in South Asia. The Harappan's written language (if that is what the symbols found on Harappan seals are) has not been deciphered, so we do not know their names for these units. Later excavations uncovered weights both larger and smaller than those Hemmy first worked with, but they are relatively rare. A few incorporate subdivisions by thirds. Any process for producing standard weights has some tolerance, and the tolerances in 2200 bce were of course larger than they are today. 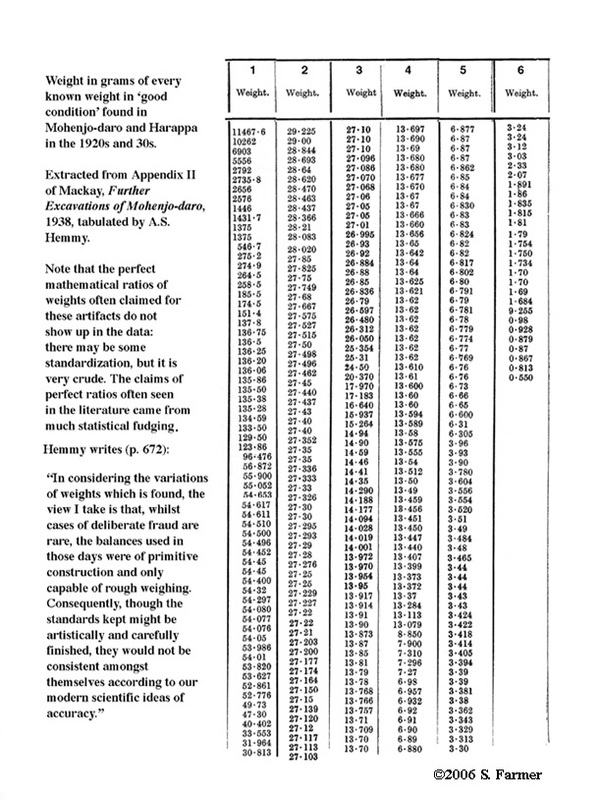 To add to that, as Hendrickx-Baudot³ says, “We have to bear in mind not only the normal statistical spreading and standard deviation, but also the unknown from detrition or crumbling and chemical alteration.” Numerous workers⁴ have analyzed statistically the spread of weights around central values. As a rough estimate, taking all the weights from all sites, the measured mass generally comes within 6% of the ideal mass. The tolerances are smaller if the weights of each city are analyzed separately. Probably each city's weight-makers worked from that city's prototype, and the prototypes themselves could be compared only with the precision of the day's balances. The astonishing thing is not that their tolerance was larger than ours, but that it is so small and that this probably pre-literate culture maintained the same tight standards for over seven centuries. Indeed, several scholars⁵ have thought that, though the use of cubical weights ceased, the system of weights continued. It appears again around 600 bce, when cities began to be built in northern India, and is reflected in units of weight used in South Asia today. Systems of Weights at Mohenjo-Daro. Further Excavations at Mohenjo-Daro, being an official account of archaeological excavations at Mohenjo-daro carried out by the government of India between the years 1927 and 1931. Vol. 1. Delhi: Manager of Publications, 1938. The Cube Weights in Boston. New Haven, CT: Pub. for American School of Indic and Iranian Studies and Museum of Fine Arts, Boston, by American Oriental Society, 1943. The weights of the Harrapa-culture. Orientalia Lovaniensia Periodica, vol. 3, pages 5-34 (1972). On the standard deviation of the weights of the Indus civilization. Bulletin of the Society of Near Eastern Studies in Japan, volume 27, number 2, pages 13-36 (1974). Metrology in the Indus Civilization. B. B. Lal and S. P. Gupta, editors. Frontiers of the Indus Civilization. New Delhi: Books and Books, 1984. 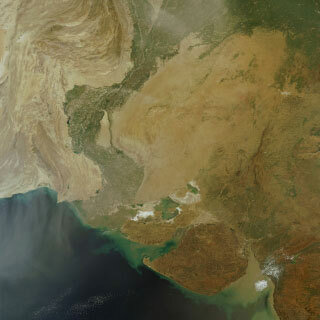 Measuring the Harappan world: Insights into the Indus order and cosmology. Ian Morley and Colin Refrew, editors. The Archaeology of Measurement. Comprehending Heaven, Earth and Time in Ancient Societies. Cambridge: Cambridge Univ. Press, 2010. Theorizing Bronze-Age intercultural trade: the evidence of the weights. Paléorient, vol. 29, no. 1 (2003). Ancient Cities of the Indus Valley Civilization. Karachi: Oxford U. Press and American Institute of Pakistan Studies, 1998. The Ancient Indus Valley. New Perspectives. Santa Barbara, CA: ABC-Clio, 2008. From a series intended for a wide audience, Understanding Ancient Civilizations. Contains extensive bibliographies. Copyright © 2002-2012 Sizes, Inc. All rights reserved.